Renowned through four award-winning books for his gritty and revelatory visions of the Caribbean, Bob Shacochis returns to occupied Haiti in The Woman Who Lost Her Soul before sweeping across time and continents to unravel tangled knots of romance, espionage, and vengeance. In riveting prose, Shacochis builds a complex and disturbing story about the coming of age of America in a pre-9/11 world. 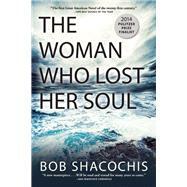 Set over fifty years and in four countries backdropped by different wars, The Woman Who Lost Her Soul is National Book Award winner Bob Shacochis’ magnum opus that brings to life, through the mystique and allure of history, an intricate portrait of catastrophic events that led up to the war on terror and the America we are today. Bob Shacochis’s first collection of stories, Easy in the Islands, won the National Book Award for First Fiction, and his second collection, The Next New World, was awarded the Prix de Rome from the American Academy of Arts and Letters. He is also the author of the novel Swimming in the Volcano, a finalist for the National Book Award, and The Immaculate Invasion, a work of literary reportage that was a finalist for The New Yorker Book Award for Best Nonfiction of the Year. Shacochis is a contributing editor at Outside, a former columnist for Gentleman’s Quarterly, and has served as a contributing editor for Harper’s and GQ. His op-eds on the US military, Haiti, and Florida politics have appeared in The New York Times, The Washington Post, and The Wall Street Journal.